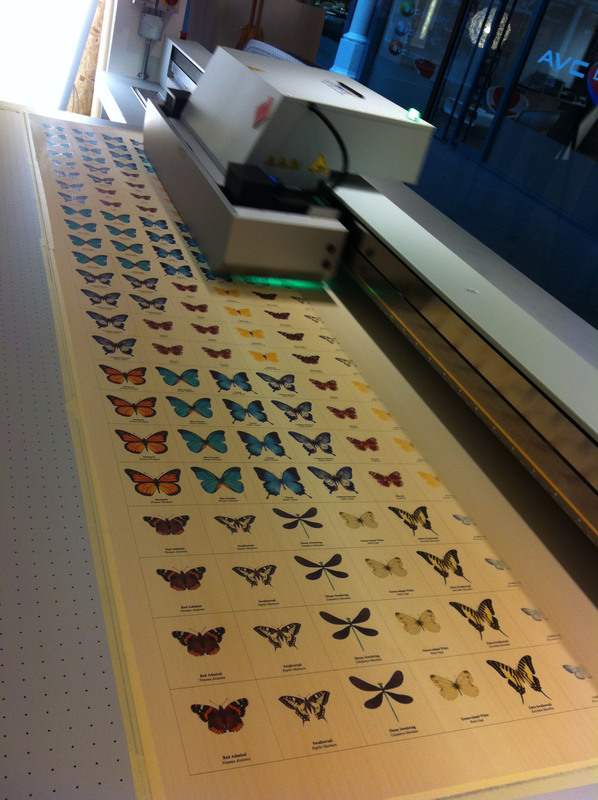 Printing onto Virtually any Flat Surface! 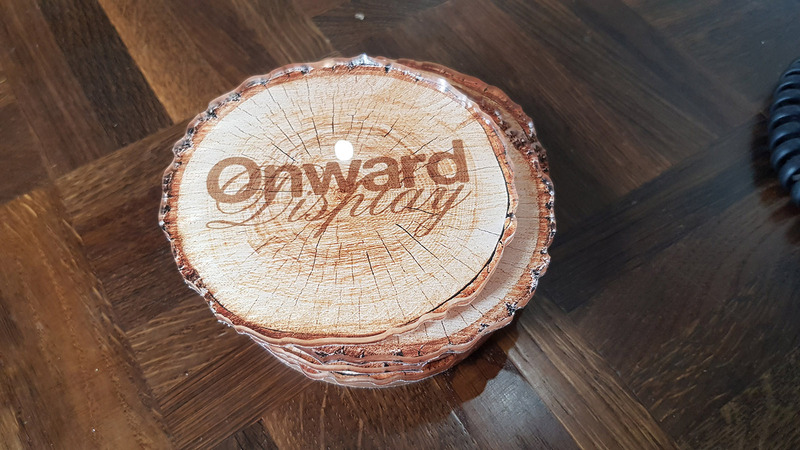 Our Oce Arizona flatbed printers are capable of printing onto a wide variety of substrates including wood, ceramics, metals and acrylic. 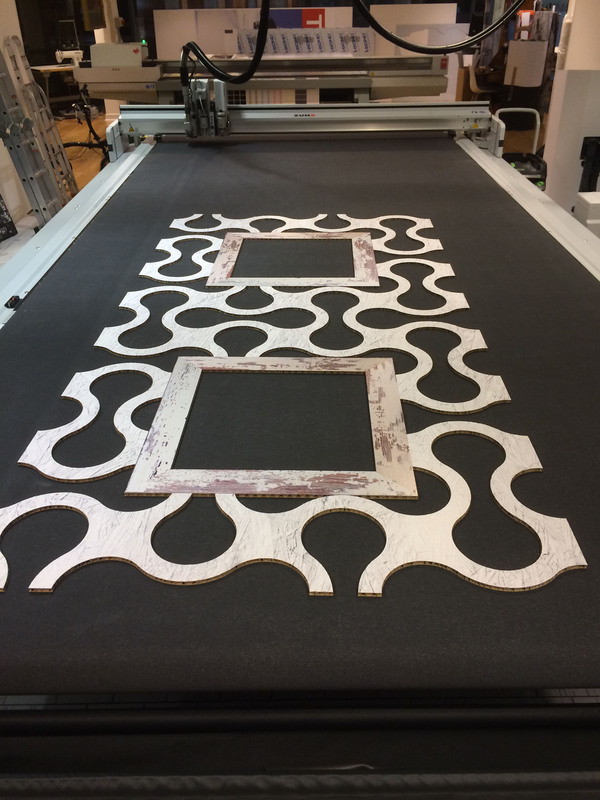 We can also cut these materials to size as well using our Zund CNC cutter opening up a whole new world of digital printing. 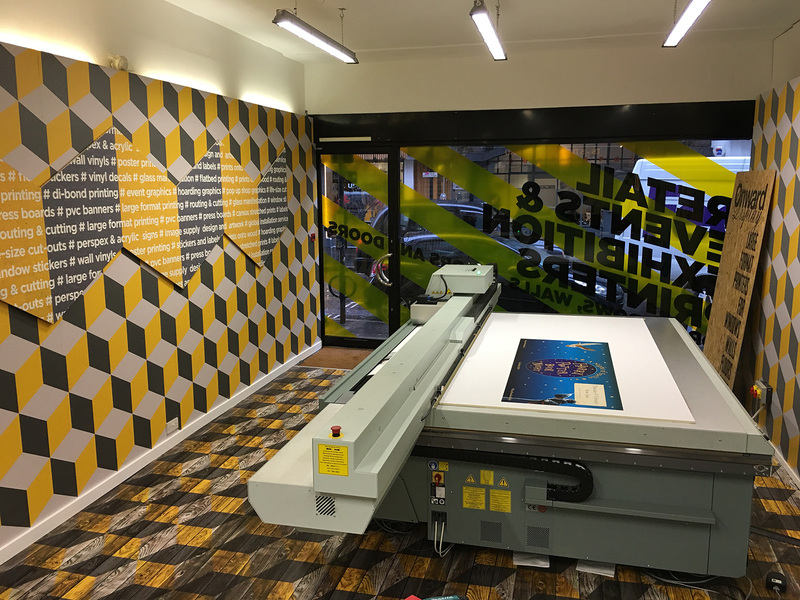 We have used our flatbed printers to help our clients produce everything from personalised wedding invites made from acrylic to branded swimming floats! 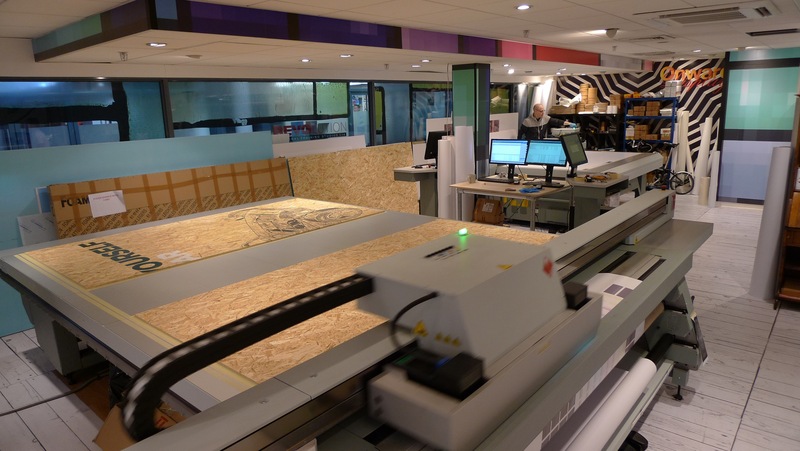 Flatbed printing gets its name as the ‘bed’ or ‘area’ that the machine is able to print onto is flat rather than the more conventional roll to roll printers. The head of the printer moves across the bed and sprays the ink direct to the flat substrate. 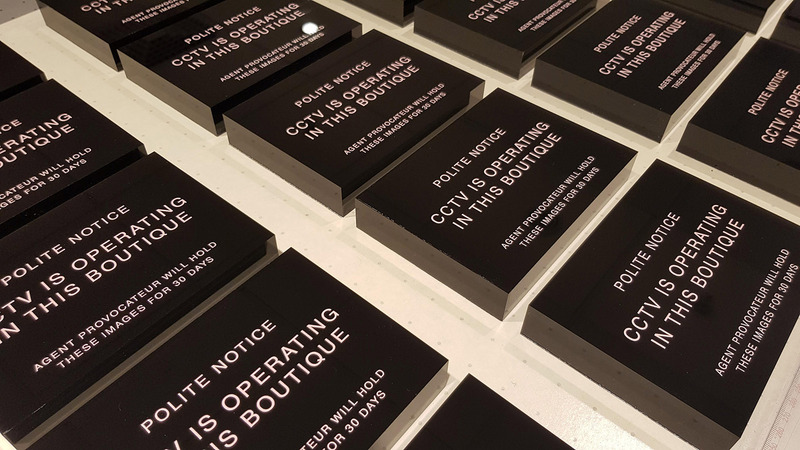 The ink is UV cured almost instantly as it prints, which not only speeds up production but allows for us to print onto non-porous substrates like glass. Once fully cured the inks are scratch proof and colourfast. The printers’ rip software allows us to print up to x3 layers of ink on any one job. This means we can boost the vibrancy of the colours by printing x2 hits of CMYK or even laying down a layer of white ink first. 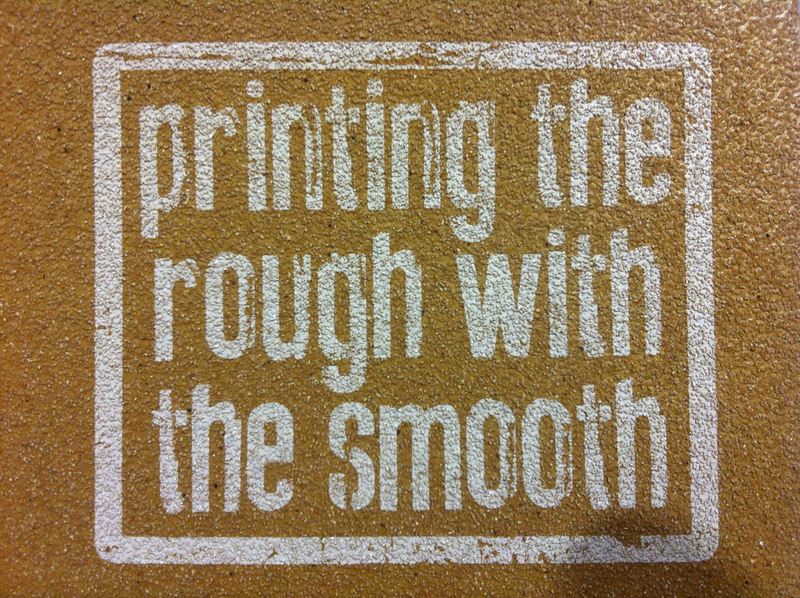 This is particularly important when printing directly onto wood as without a layer of white ink images can come out dull due to the natural colour of the wood. This ability to print white ink also means you are able to print opaque images onto clear materials such as acrylic. 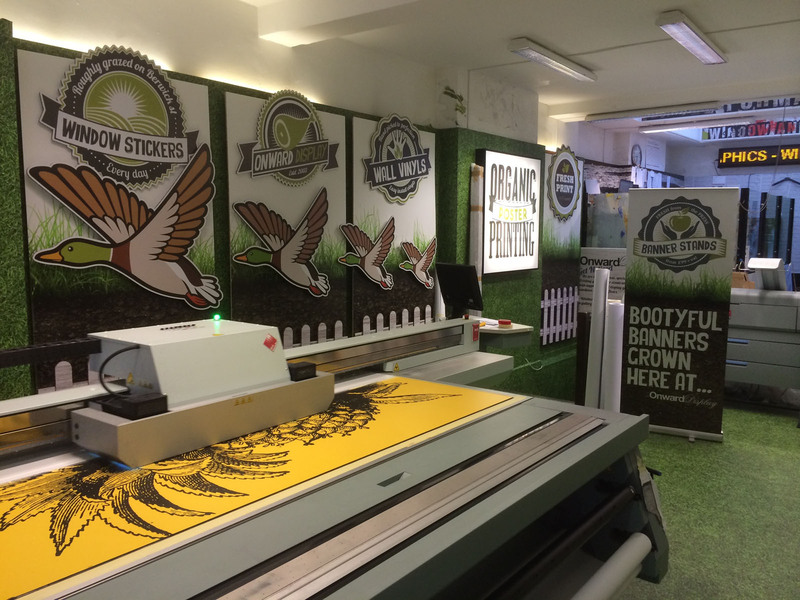 Flatbed printing is a cheaper alternative to screen printing as there are no silkscreens that need to be produced. 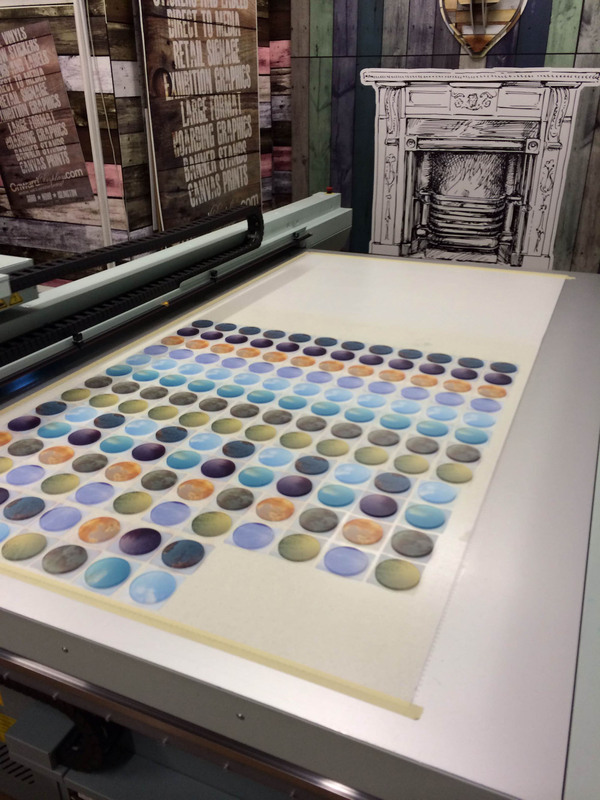 This also allows us to have no minimum run quantity and to produce diverse bespoke one-off prints. 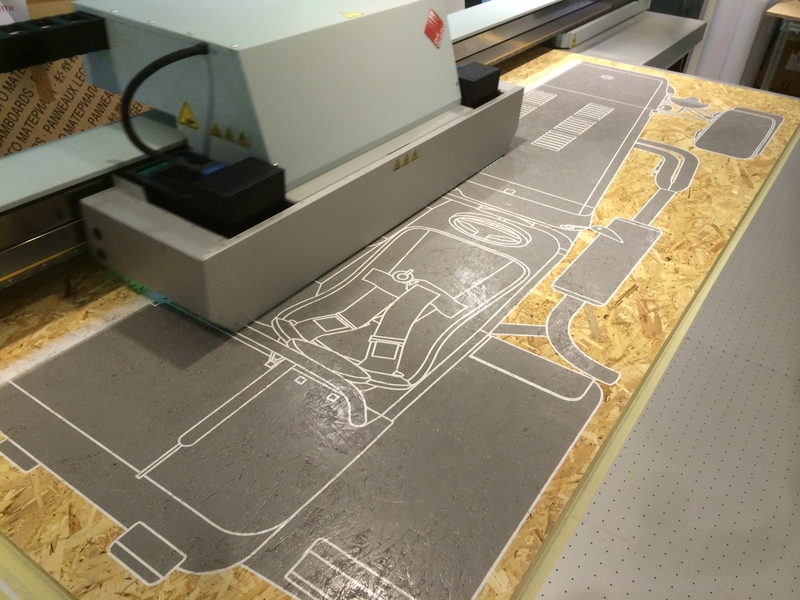 The variable head height allows us to print onto almost any material up to 40mm thick and with a maximum bed size of 2500 mm x 3000 mm the possibilities are endless. We currently have the largest amount of Canon Oce Arizona flatbed printers of any company in Europe. 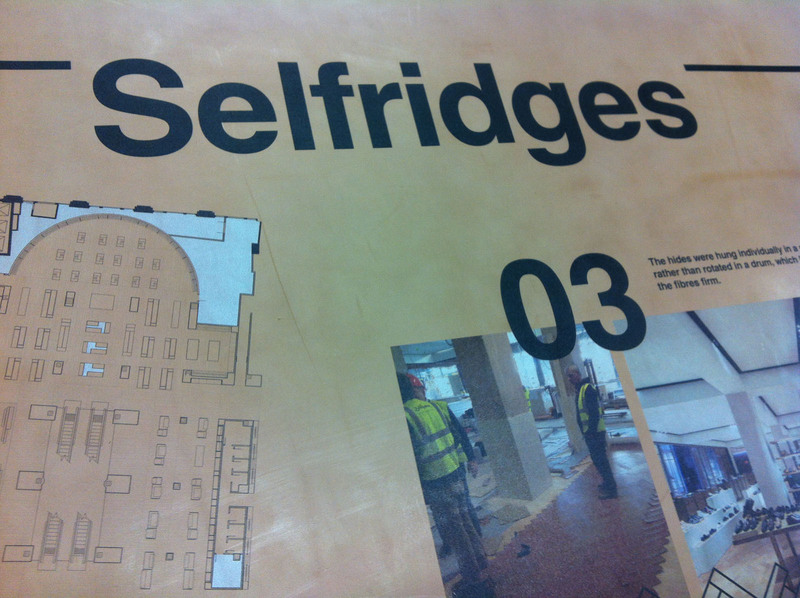 All of which are based in our two prime London locations. 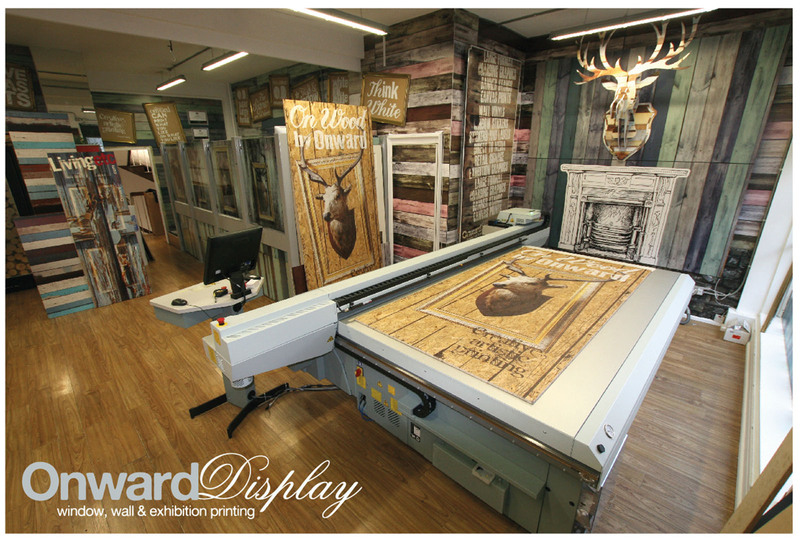 Why not pop into one of our stores to have a look at these amazing machines in action? What it the biggest size you can print? Printed directly onto 5mm acrylic round cut shapes, reverse printed to show from the front. Printed directly to the reverse with a peach soft lamination to protect against any surface. 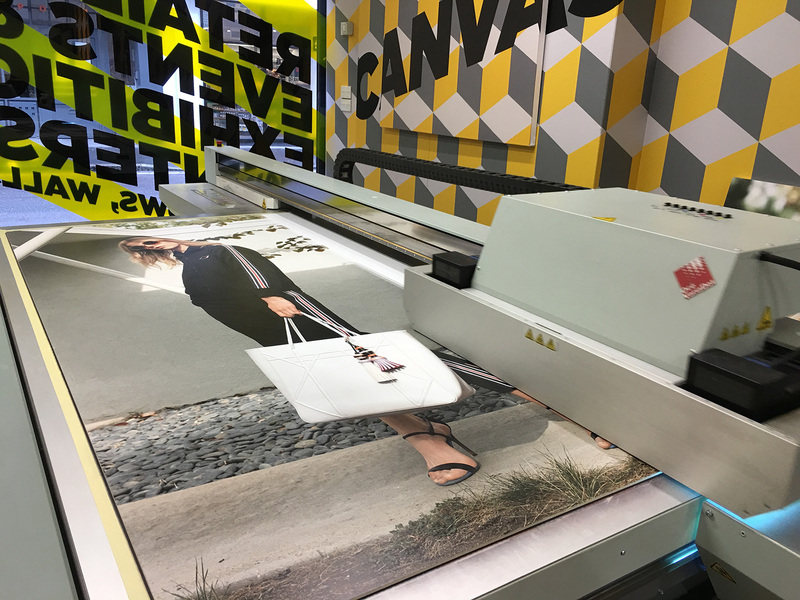 Printing TopShop graphics from our Berwick Street Showroom. Our two Océ Arizona's in our Lower units at the Business design Centre.